Dixon Wins Fifth IndyCar Series Championship! Ryan Hunter-Reay knew what he had to do to win the INDYCAR Grand Prix of Sonoma. 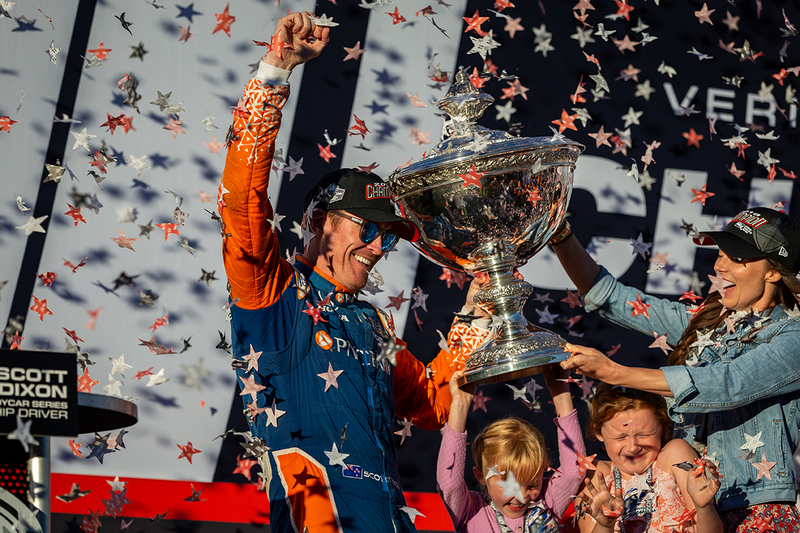 Scott Dixon knew what was needed to wrap up a fifth Verizon IndyCar Series championship. Mission accomplished on both fronts. Hunter-Reay commanded the race on the 2.385-mile, 12-turn Sonoma Raceway road course from the outset, surrendering the lead only briefly through pit stop cycles. When the driver of the No. 28 DHL Honda crossed the finish line, he collected the 18th win of an Indy car career that began in 2003. It moved the Andretti Autosport driver into sole possession of 26th place on the all-time Indy car wins list. The 2019 IndyCar Series season will again consist of 17 races, opening for the ninth straight year with the Firestone Grand Prix of St. Petersburg on March 10.